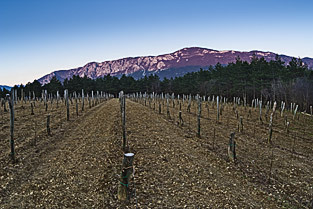 The Burja Estate connects a traditional Vipava winegrowing farm with modern understanding of wine. But aren’t the two actually the same? Don’t we want to recognize our roots, bases and flavors in wine and at the same time feel the soil and climate of the vineyards? 1. I believe in integrity, rather than individual actions that solve one problem and open three new ones. Therefore, I try to find answers to my constant questions. I listen to various opinions that come both from the scientific world and experienced farmers. I seek to balance physical sensations and actions with the spiritual dimension. 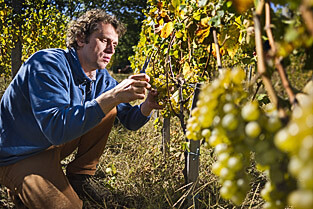 Laški rizling (Italian Riesling, Welschriesling), Modra frankinja (Blaufränkisch). I also inherited vineyards of Modri pinot (Pinot Noir, Blauburgunder), my passion and my tribute to the land of Burgundy. 3. I am becoming aware of the diversity and richness of our vineyards. I think that micro flora is an important part of each vineyard’s identity. The work in my vineyards, which are treated according to the principles of biological and biodynamic production, is in the spotlight. I am getting to know the details of soil and climate diversity for individual locations and I try to use this information to adjust different varieties and vineyard cultivation. I try to step back and understand how to encourage nature, especially the soil, to express its own character in my wines. 4. I control only a few things and I allow all the others. I control the temperature and oxidation in the wine cellar, encouraging the rest. 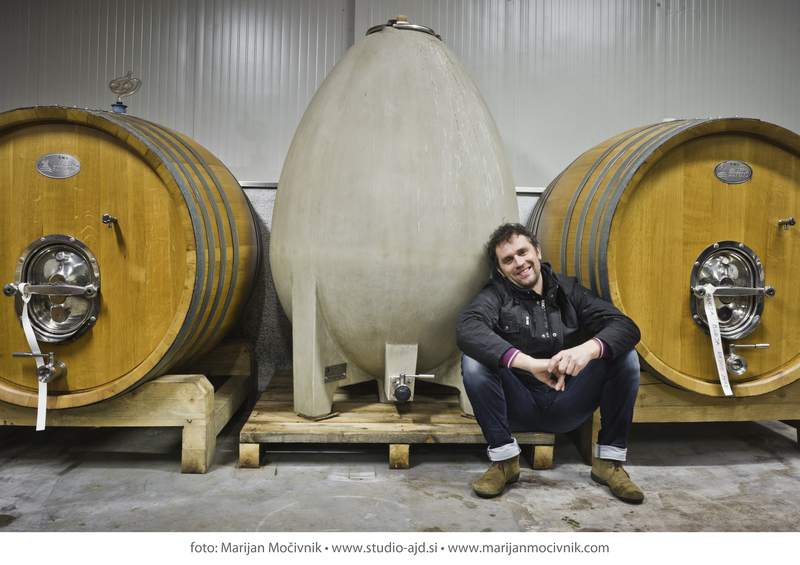 I try to work in synergy with the vine, wine and nature, including stimulating spontaneous fermentation, which ensures the contact between grape skin and must also with the white wines. According to my opinion, the diversity of yeast strains contributes to the complexity of the wine and provides original expression of each vineyard. 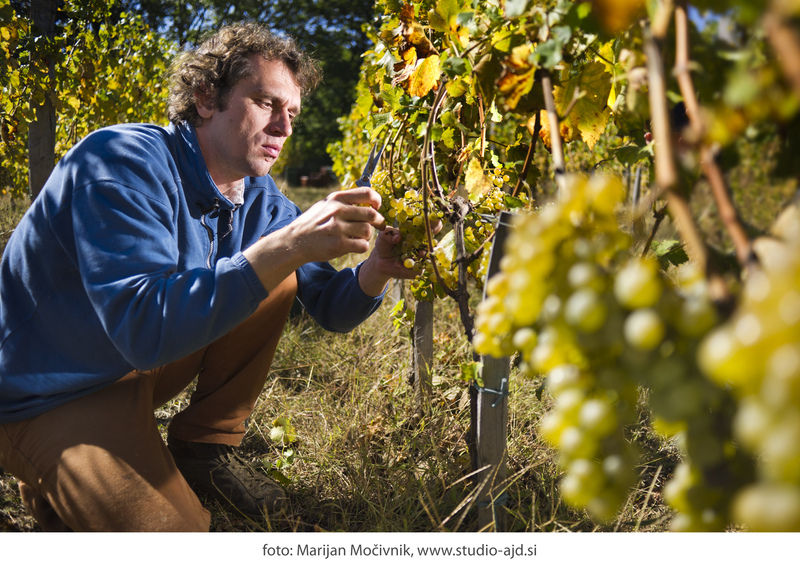 According to some data, the beginnings of viticulture and winemaking in the area of modern-day Slovenia can be traced all back to ancient Noricum, the predecessor of Carinthia. You can see that in the Roman stone with the vine, vase and two panthers (2nd century) above the main entrance to the Cathedral of Holy Lady (Gospa Sveta). The Celts probably grew vines and produced their own wines. When the Romans advanced into the area of modern-day Slovenia, the viticulture methods probably changed and new sorts of vines and wine production methods were introduced. »Vinum Pucinum«, which grew on the rocky hills (»pečine« in Slovenian) east of Aquileia, was mentioned in the Roman times. The situla (vessel) from the village of Vače (6th century BC) denotes the parties where wine was also present. A special type of democratic organization was established in the viticulture on the Slovenian territory and lasted until 1848. A so called gorska pravda was an assembly of viničars (a kind of vassals, who cultivated the vineyards) and their masters – the owners of the vineyards. This organization was not known among the Bavarians, the Lombards or the Eurasian Avars. namely Teran (terran), Vipavec (win von Wippach), Rebula (reinwal), Pinela (pinol), wine from Milje (muglaere), wine from Brda (ecke). Rich descriptions of Vipava viticulture and winemaking can also be found in Winemaking for Slovenes (Vinoreja za Slovence - the first Slovenian book on viticulture) written by Matija Vertovec in 1844 and in The Glory of the Duchy of Carniola (1689) by Johann Weikhard von Valvasor. The Lavrenčič family moved in the Vipava Valley in 1499, and then like the majority of the population engaged in agriculture and viticulture. My mother's family engaged in blacksmithing, besides, they also had some vineyards. 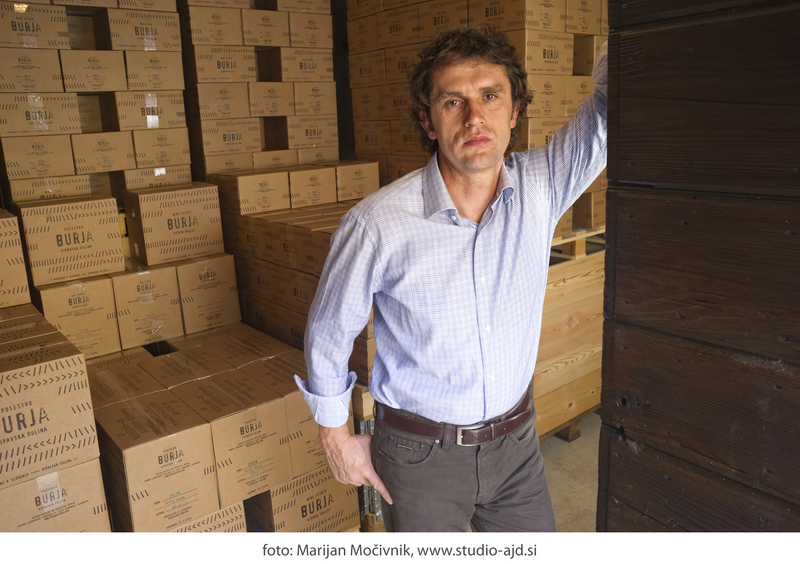 To continue and foster the tradition of Vipava viticulture and winegrowing and together with colleagues from Vipava build a strong regional wine brand. To enjoy in the sequence of many tiny good moments in this process. 1. Ravno Brdo (Podraga) 1,7 ha. Modri pinot (Pinot Noir, Blauburgunder), Modra frankinja (Blaufränkisch), Malvazija (Malvasia d`Istria), Zelen, Laški rizling Italian Riesling, Welschriesling), Rebula (Ribolla Gialla). 2. Stranice (Podraga) 1,6 ha. Refošk (Refosco), Pokalca, Malvazija (Malvasia d`Istria), Laški rizling (Italian Riesling, Welschriesling). 3. Zadomajc (Podraga) 0,8 ha. Modri pinot (Pinot Noir, Blauburgunder). 4. Golavna (Orehovica, Pasji rep) 1,4 ha. Zelen. 5. Ostri vrh (Orehovica, Pasji rep) 1,6 ha. 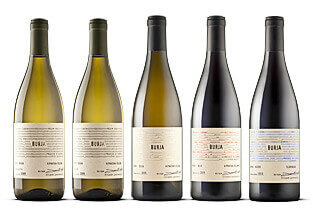 Rebula (Ribolla Gialla), Malvazija (Malvasia d`Istria), Renski rizling (Rizling), Laški rizling (Italian Riesling, Welschriesling), Modri pinot (Pinot Noir, Blauburgunder). The soil in our vineyards has developed slowly on over fifty million years old flysch marlstone and sandstones. These rocks, rich with calcium carbonate, formed in the sea in the Eocene Epoch, more specifically during the Cuisian Stage. 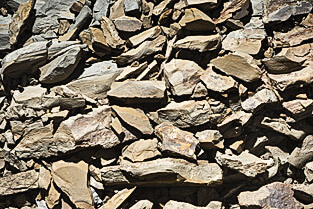 Fine-grained marlstone, containing more or less cemented rock fragments, sized only a few hundredths of a millimeter, makes heavy soil which retains moisture longer and more easily. The rocks consist mainly of calcite, flint and mica, less often of apatite, glauconite and iron oxides. It is interesting that a large portion of flysch is composed of pre-existing rock fragments, which have been transferred to the present location from elsewhere. Some of these fragments are also fossils. Micrometric fossil organisms that lived in the sea when the flysch was formed are the most important when we want to determine the age of our rocks. They are called with a common name nanoplankton. Large fossils, which can be seen with naked eye, are not so frequent in our vineyards. However, if we observe a piece of rock under a microscope, we can find a great richness of former life, which makes today’s food for our vines. The rock is full of wholly or partially preserved Eocene and Cretaceous marine organisms. Foraminifera are mostly Nummulites, Assilina, Miliolida and Discocyclina, yet we can also find samples of Bryozoa, Red Algae, shells, etc. Although we are not very close to the Alps, our area is strongly connected with their formation. Let's start at the end of the Cretaceous Period, when the dinosaurs walked on the land of Vipava and Karst. A well known karst limestone formed on the carbonate platform in the shallow warm sea, similar to nowadays Bahamas. Adriatic tectonic plate travelling towards the North had already been on its way to disturb the tranquil environment. Its collision with the northern Eurasian plate caused the closing of the ocean between them and accelerated the rising of the Alps at the end of the Cretaceous Period. By folding, faulting and thrusting, the sediments that were previously deposited on horizontal seabed found themselves on the submarine slopes and their edges. There, they got into unstable position. First, they moved just a little, then a little more, and finally they gained speed and they rushed into the deep sea in the shape of huge underwater »landslides«, called turbidity currents. Consequently, the sediment from these turbidity currents is composed mainly of pre-existing rocks and sediments fragments, which were picked up from the seabed by the devastating mud and rock flow. These events took place during the Eocene Epoch, about fifteen million years after an important transition between the Cretaceous and Tertiary periods, marked by a large global extinction of species, including the dinosaurs. Underwater »landslides« were rumbling for some million years from nowadays Julian Alps to Istria and further towards the south. Eventually, the deposited sediments turned into solid rock during a process called lithification. This way, nearly a kilometer thick succession of flysch rocks accumulated in western Slovenia. 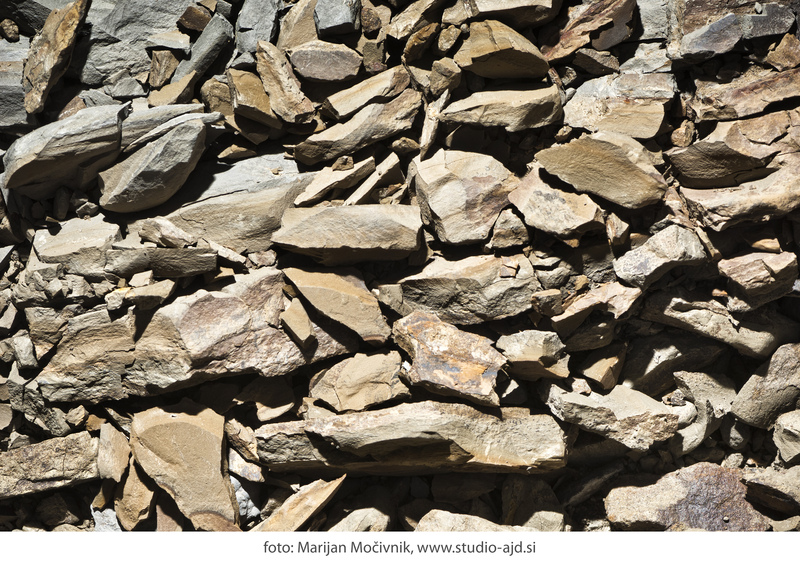 This easily recognizable sequence of stratified marlstones, sandstones and breccias gives a significant character to our landscape and products. very important for delicate vines. In the places where the erosion processes did not take the soil away, the pedological profile is about a meter thick. The upper decimeters are rich in organic materials, full of life and consequently usually a little darker. Despite the fact that the base is rich in calcium carbonate, this part of soil, namely eluvial horizon, contains hardly any. It was washed down to the illuvial horizon, which is rich also in iron minerals. Vines, with their deep roots, absorb life not only from upper but also from lower part of soil – from the degrading bedrock, and even more, the roots can find their way also through the solid bedrock to the minerals that enrich the crops. All soil in our vineyards is developed on flysch, however, it differs significantly according to lithologic varieties of the bedrock below the soil. Luckily, this contributes to diversity, which we all seek for. causing middle heavy ground, which retains moisture quite well. It is a similar situation in Stranice, except that marlstone is even more prevalent over sandstone, resulting in even heavier and wetter ground. Our biggest vineyard in Golavna is the most different from the others. The soil, which developed on more solid and tough sandstone, is thinner, lighter and dries faster. Trenching reaches nearly to the bedrock and mixes it with soil. Consequently, the upper soil stratum is richer with calcium carbonate, which is almost completely washed down to lower strata on other locations. 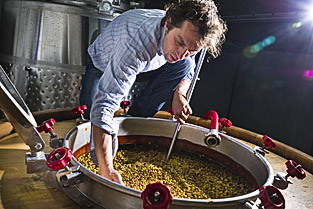 Istrian Malvasia: Vipava version of Istrian pride. Always present in the vineyards of Vipava. Young vines. Maturation in stainless steel tanks. Zelen: Vipava pride. Variety with its demands, special, different from others. Young vines. Maturation in stainless steel tanks. Burja white: the core, the heart of my production, based on the former glory of the Vipava white wine, Vipavec (win von Wippach). 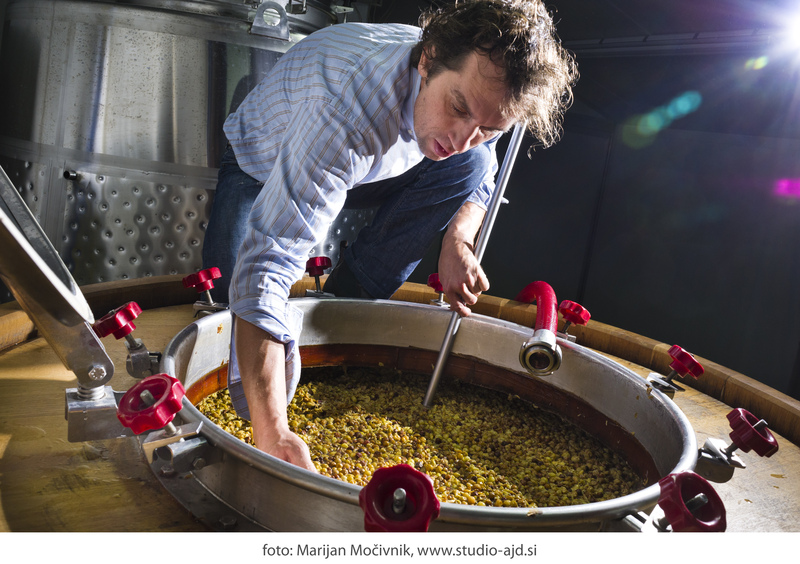 Laški rizling (Italian Riesling, Welschriesling) 30%, Rebula (Ribolla Gialla) 30%, Malvasia 30 %, other varieties 10 %. Field blend of my two oldest vineyards: Ravno brdo over 20, Stranice over 60 years old, different vines growing side by side. Aged for one year in large barrels, foudre (20 - 35 hl). Burja noir: my passion and my joy. Modri pinot (Pinot Noir, Blauburgunder) 100%. The only non-local variety in my vineyards, though the evidence prove that Pinot Noir, Burgundy has been already present in the Vipava Valley for many years. From ten to twenty years old vineyards. 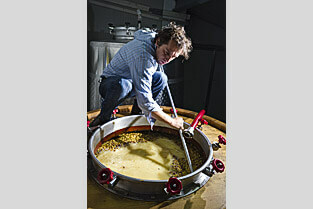 Aged for two years in large barrels (10 to 15 hl) and 225 l barrique barrels. Burja Reddo: my challenge, playing with the idea of former red wine varieties in the Vipava Valley, which were once in minority, for home consumption only. Pokalca (Schioppettino) 50%, Modra frankinja (Blaufränkisch) 30%, Refošk (Refosco) 20%. Young vineyards, from 4 to 6 years old. 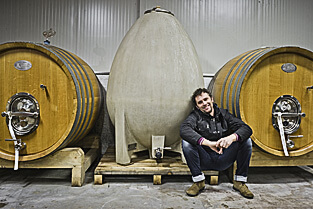 Aged for two years in large barrels (10 to 15 hl) and 225 l barrique barrels. On the market since 2016. The realization of my sound yet the boldest ideas of the best wine. 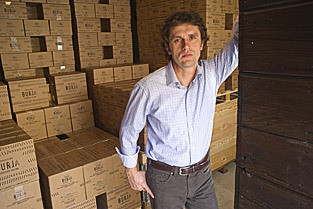 Selected location, the best vintages, accurate and at the same time daring traditional cellaring. Slovenia: eVino Austria (Vienna): Leopold Kiem - Agora Vino Italy: Les Caves de Pyrene Limited Belgium: WeinWelt Bvba USA: Indie Wineries Netherlands: Bolenius restaurant, Good Grapes Croatia: Label Grand Denmark: Winewise Ireland: Grapecircus Serbia: Suntrade Australia: Real wines Canada (Quebec): Insolite Importation Canada (Alberta): Elite Brands Wine Distribution Sweden: Wine Waves Hungary: BK518 Slovakia: EBAC s.r.o. You can find technical information about our vines HERE. Click on the image to download high resolution photo. Or HERE to transfer all photos at once (.Zip 44 MB).